After two layoffs and hospitalization in this downward economy, Chris Hamer is proof that a mixture of handwork, drive, and creativity, can change the course of your destiny. 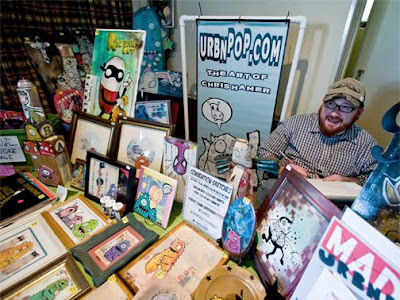 Exhibiting in over 40+ shows a year is just the tip of the iceberg for the Urbnpop founder. He was recently accepted by Artist Project, and coming out with a new toy! "Each year, I look back and I go 'what now'." Learn more about Hamer's unique launch into the art industry, and the habits that have attributed to his success by clicking HERE.